Robotics and Artificial Intelligence is a transformative technology that has tremendous applications in the social, economic and military fields. 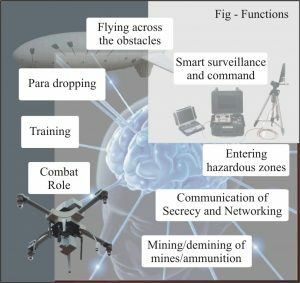 Reports of task force on AI in defence include recommendations include policy and institutional interventions that are required to regulate and encourage a robust AI based technologies for defence sector. Robotics and Artificial Intelligence (AI) is combination of technology and cognitive intelligence for simulation, processing of information and knowledge to build capability in a machine to imitate human behaviour. It is a transformative technology that has tremendous applications in the social, economic and military fields. Till some time back we had robots operated by a human or through a set of programming to perform repetitive task. The technology is already present in many sectors of economy, such as mapping technologies, hand writing recognition for mail delivery, financial trading, surveillance, target acquisition, smart vehicles, ammunition, and robots performing numerous industrial, medical and military tasks. India's economic and national security can be reshaped through AI technology with its leadership in information technology domain. The country has to adopt stringent policies to drive AI adoption and innovation, in sectors which transcend beyond consumer goods and IT services. Moreover, the efficiency is supported by the proliferation in cloud technology, as massive computing power is made available on demand via cloud-based computing platforms, at much reduced costs. AI can also facilitate the storage and analysis of datasets, potentially processing billions of data points in a matter of seconds. Several layers of computers work in tandem to analyze information in these large data sets, recognizing patterns, discerning behaviour, and making intelligent decisions. Machine Intelligencepowered platforms can become a strategic instrument of governance in India across a wide range of public services. The recent trend to replace the convention equipment by robots smart and intelligent machines that learns by observation, trial and error to enhance operational efficiency, are providing cost effective alternative. The Prime Minister Narendra Modi during DefExpo 2018 mentioned new and emerging technologies like AI and Robotics will perhaps be the most important determinants of defensive and offensive capabilities for any defence force in the future. Image interpretation for target identification and classification. Expert systems for diagnosis and maintenance of sophisticated weapon systems such as radars and missiles. Robotic equipment can be used to provide precision targeting support and carriage of ammunition and accuracy. Camera equipped and shock-resistant platforms to provide fire power remotely are also possible applications. Systems for diagnosis and maintenance of sophisticated weapon systems. Missile target range and trajectory analysis for evaluation of kill zones, launch time and simulation to assist in qualifying missile performance in various environments. 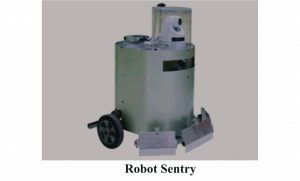 Enhanced use of robots for Anti Improvised Explosive Device, extraction of personnel, firing of guns and other applications. The Defence Research and Development Organisation (DRDO) have a laboratory specifically dedicated to AI known as Centre for Artificial Intelligence and Robotics (CAIR). The laboratory with about 150 qualified scientists. 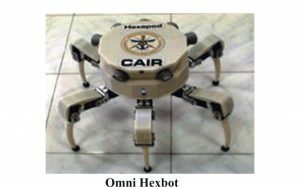 CAIR has been working on a project to develop a Multi Agent Robotics Framework (MARF) for more than eight months now. MARF will equip India's armed forces with an array of robots that can function as a team, in a fashion similar to what our soldiers do. 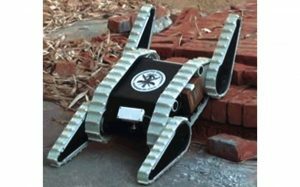 Indian Army has already built Wheeled Robot with Passive Suspension, Snake Robot, Legged Robot, Wall-Climbing Robot, and Robot Sentry, among others. CAIR has also developed Network Traffic Analysis (NETRA) which can monitor internet traffic. It can analyse voice traffic passing through software such as Skype, Google Talk and intercept messages with key words attack, bomb, blast, kill and other words in real time. There is no doubt that seminal research is being done at CAIR. These would be translated to suitable applications for the Indian Armed Forces. 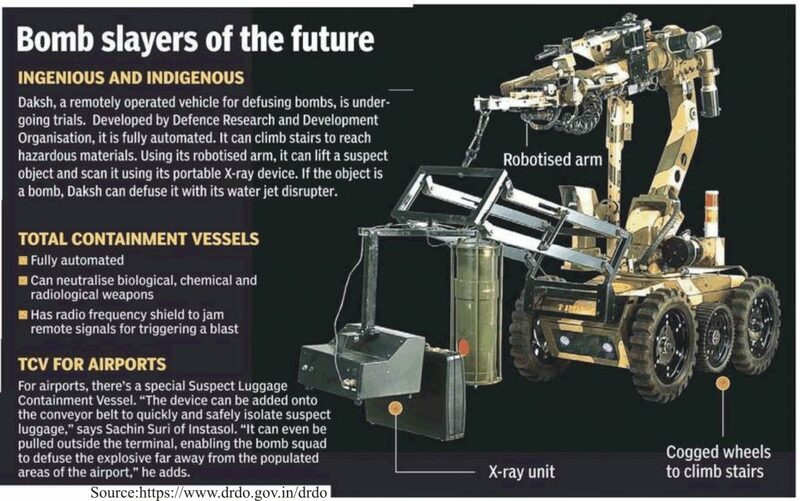 Indian Army has placed the order for 200 Remotely Operated Vehicle (ROV) Daksh robots to defuse explosives. Additionally, DAC has approved approx. 544 Robots for Indian Army from indigenous source. The robots will be used for surveillance and can deliver suitable ammunition. Uran-9, atrackedarmored vehicle controlled remotely by an operator equipped with 2A72 30-millimeter cannon with a rate of fire of 350 to 400 rounds per minute and can shoot high explosive incendiary and armor-piercing ammunition. The Kalashnikov is likely to begin serial production of a new combat module using Neuro Net by next year. 'NeuroNet' is an artificial neural network, which allows the module to identify targets, learn and make decisions on its own. A Swedish Maritime Robotics Center is developing the underwater systems of tomorrow. Artificial Intelligence Industry in India is currently estimated to be $180 Million annually in revenues. There are approximately 29 thousand AI professionals in India. The average work experience of AI professionals in India is 6.6 years. University of Mumbai, BITS (Pilani), IITs (Kharagpur, Delhi, Mumbai, Kanpur, and Roorkee), and University of Pune & Delhi University are the universities/ schools that are undertaking professional AI graduate /post graduate courses. Indian MoD has recently constituted a taskforce in February 2018, headed by Tata Sons chairman N Chandra sekaran to work on the roadmap for establishing tactical deterrence in the region and visualizing potential transformative weaponry both for offensive and defensive needs, especially in aviation, naval, land systems, cyber, nuclear and biological warfare areas to develop intelligent, autonomous robotic systems and bolstering cyber defence. The Task Force studied the level of AI or machine learning (ML) development in India mainly in context of defence needs, suggested it use in the area of aviation, naval, land systems, cyber, nuclear and biological warfare. It has concluded that AI can fuel technology driven economic growth, it also has potential to provide military superiority and has the potential to have transformative impact on national security. The recommendations include policy and institutional interventions that are required to regulate and encourage a robust AI based technologies for defence sector and work with start-ups and commercial industry in the field of use of AI for defence purposes. In the mean time Govt recognized start ups using dual use technology will automatically qualify to take part in Make-II projects under categories range from aeronautics, nanotechnology and Virtual Reality to renewable technology, robotics, green technology and internet of things.